← EXPLOSIVE READER FOOTAGE: Cape Codder home visiting grabs garden hose, knocking down expanding brush fire next to fully occupied Hyannis hotel! As Hyannis bar patrons exited onto Main St. in the early morning hours of July 7, 2018, an alleged drunk driver, operating a brown 2001 Volvo station wagon, struck a 24-year-old Hyannis man who was crossing the street. At 12:48 am Barnstable Police Officer Nathan St. Onge rolled up on the accident scene which occurred in the 500 block of Main Street. Onlookers were assisting the male pedestrian who had injuries to his head a leg. Also on scene was 28-year-old Caitlyn Fenn of Hyannis, who was alleged to be the driver of the vehicle which struck the male pedestrian. Investigation by St. Onge resulted in the arrest of Fenn on charges of Operating Under the Influence of Liquor, Operating Negligently so as to Endanger, and Speeding. Witnesses claimed Fenn’s vehicle was traveling at a high rate of speed on Main St. just prior to the accident. The male pedestrian was transported to Cape Cod Hospital where he was treated for non-life-threatening injuries. 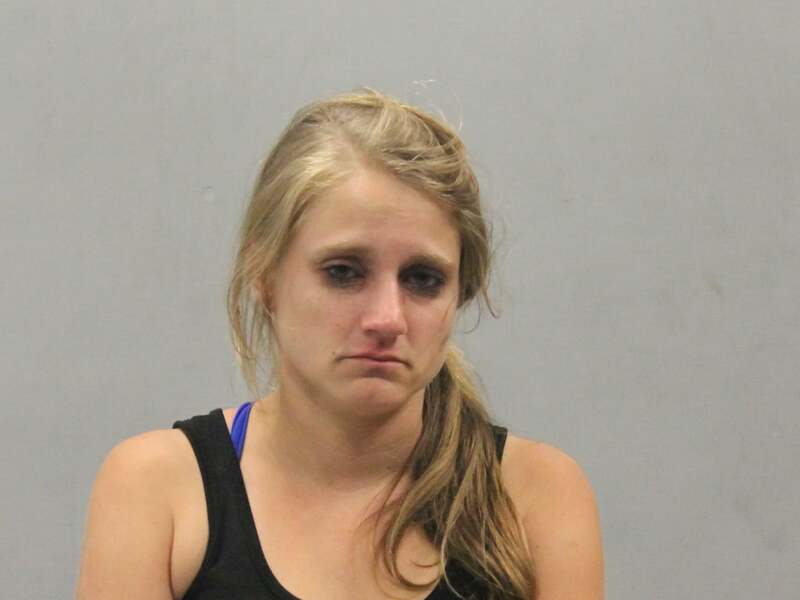 Fenn was transported to the Barnstable Police Station where she was booked and later bailed pending an appearance in Barnstable District Court on Monday, July 9, 2018. The windshield of the Volvo wagon was shattered as a result of the impact with the pedestrian. HYANNIS — [DEVELOPING] – As you will see in the following HN Video, a woman was arrested for OUI after a pedestrian was struck on Main Street shortly after area bars [were closing] down this morning. … a man on the pavement badly hurt and a woman arrested for OUI, her vehicle nearby with its windshield caved in. It wasn’t the way anyone plans on ending a night of partying, but there it is. At about 1:00 AM this morning, police and firefighters responded to the intersection of Main Street and Pine Ave for a man just struck by a car and down in the street. HN arrived shortly afterward and documented officers giving a female driver field sobriety tests. Rescue secured a young man on a stretcher and eventually transported him to Cape Cod Hospital. His injuries were apparently serious, but he was conscious and that’s always a good thing. HN NOTE: All suspects are presumed to be innocent until proven guilty in a court of law.